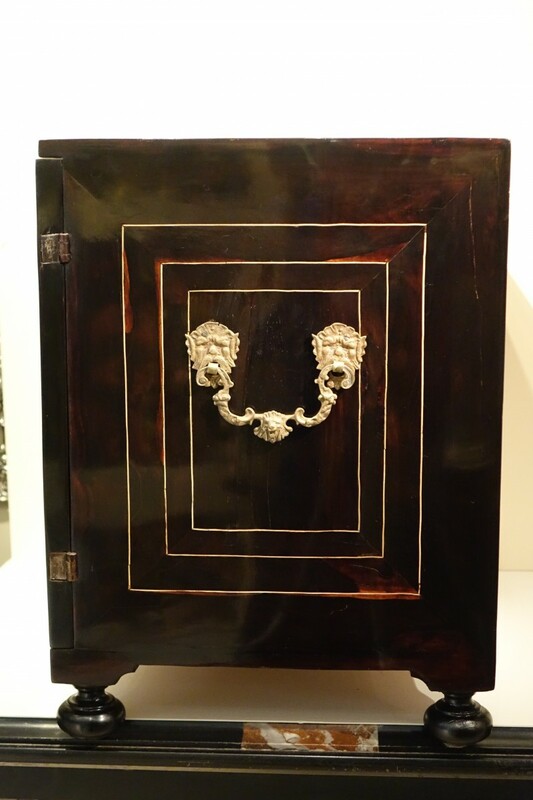 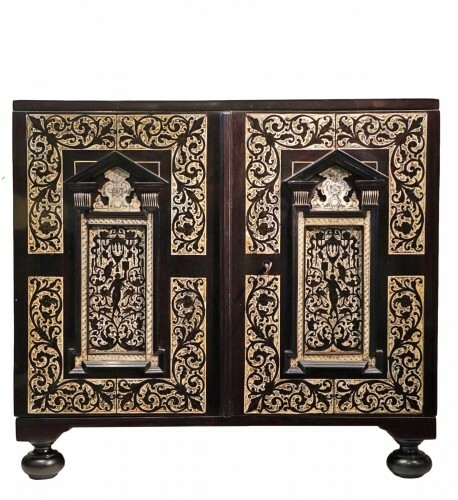 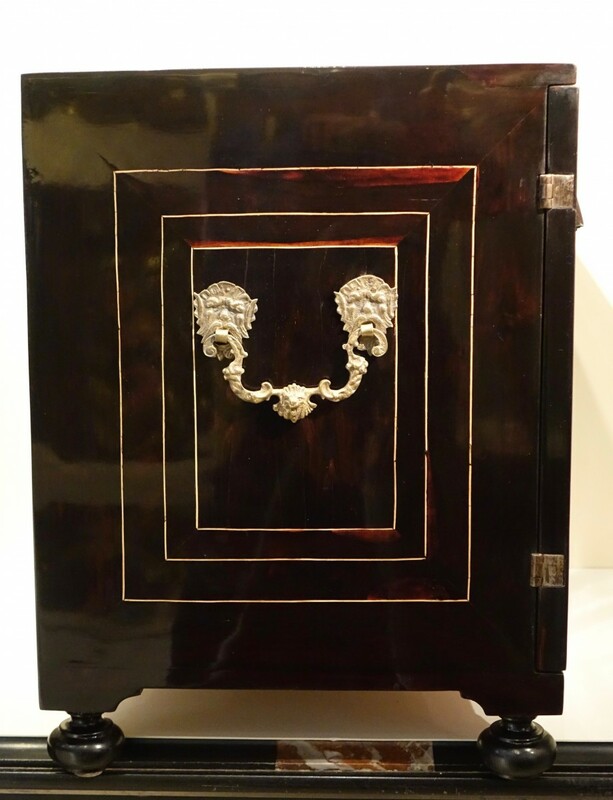 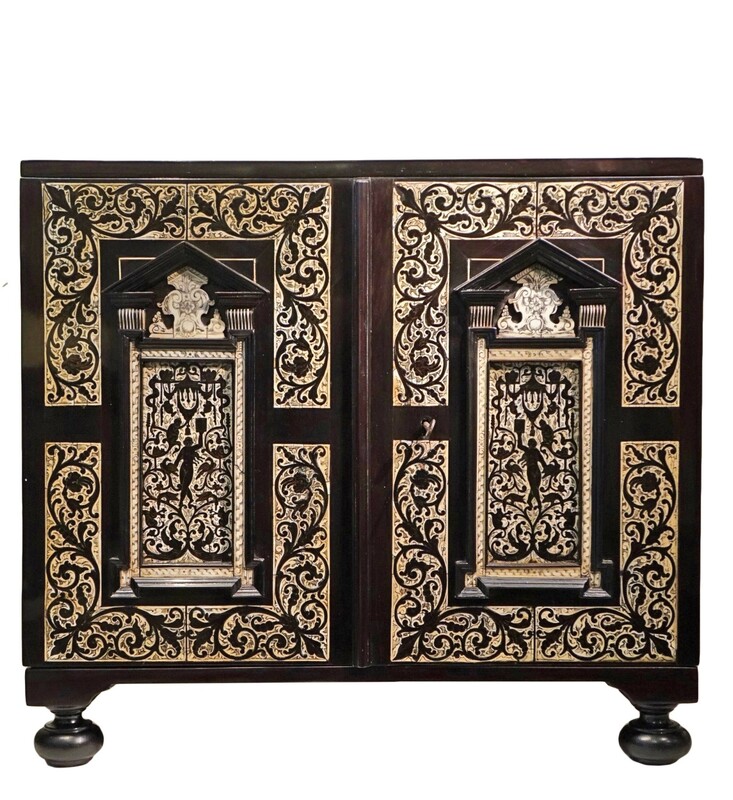 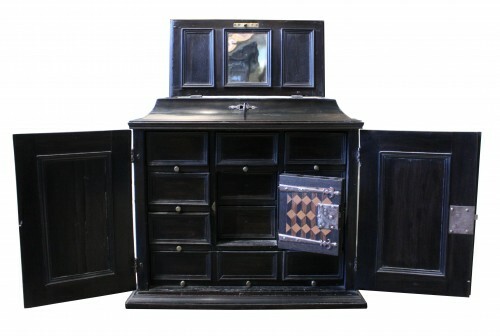 Cabinet in blackened wood and ebony, with rich ivory inlays. 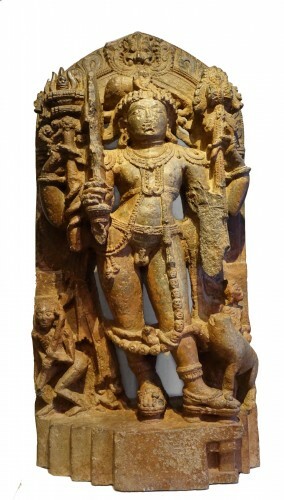 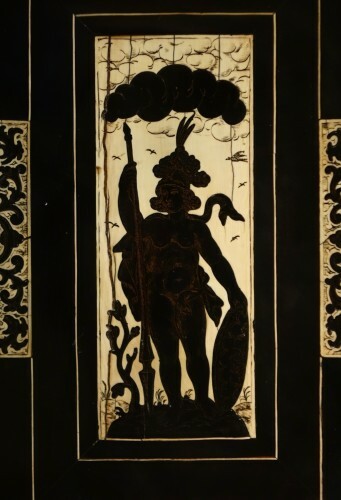 Decoration of foliated scrolls, flowers, volutes, grotesques and fantastic animals, intertwining a woman carrying a book, accompanied by a monkey, on the outside of the doors. Inside the doors are decorated with two engraved silhouettes of an armed and helmeted man, surmounted by a cloud ( the god Mars?). 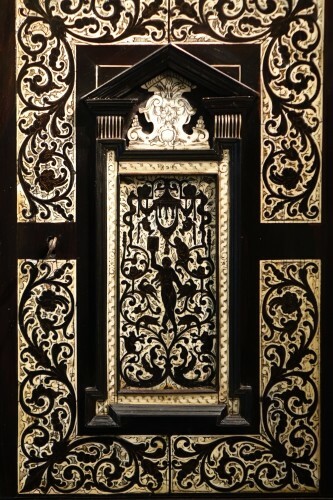 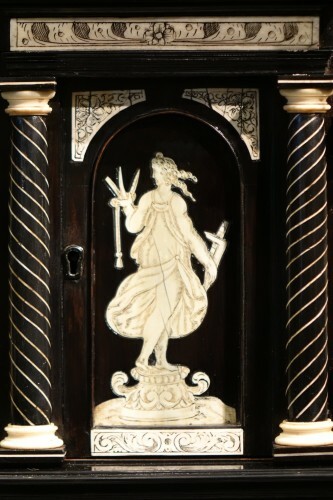 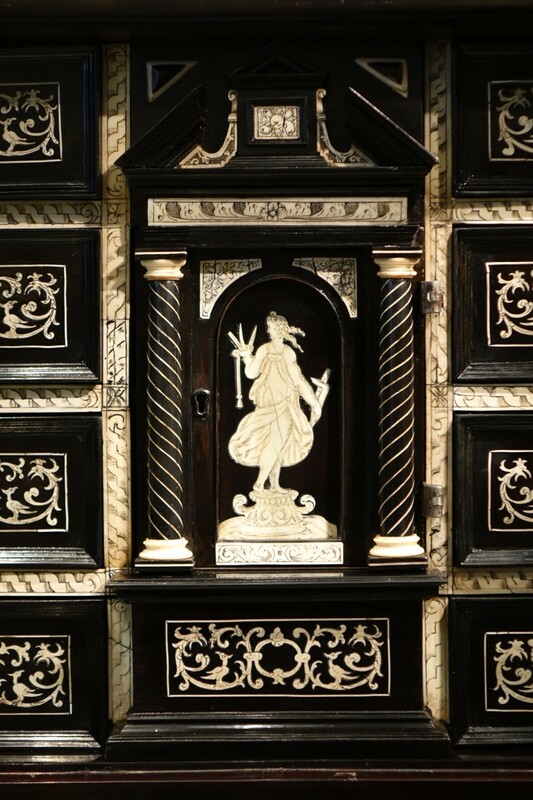 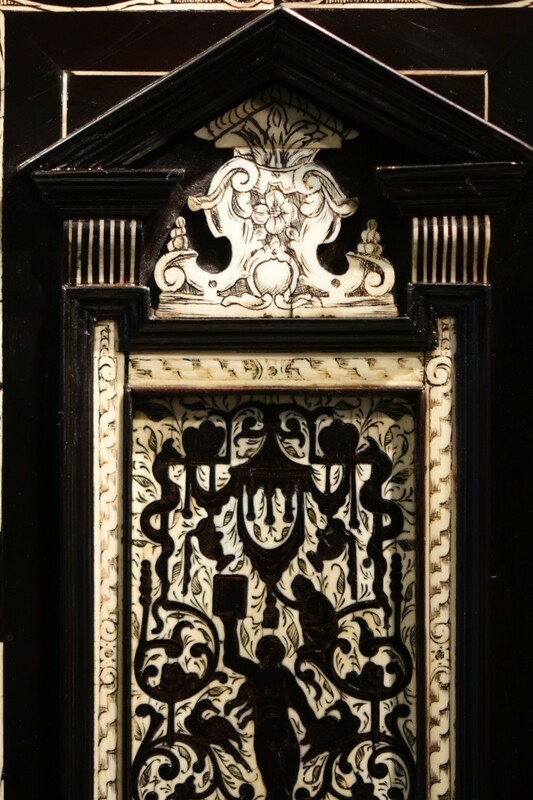 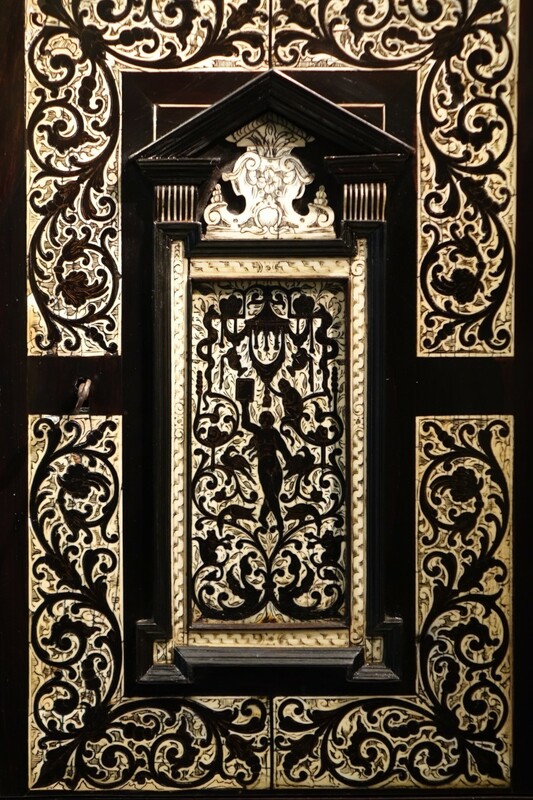 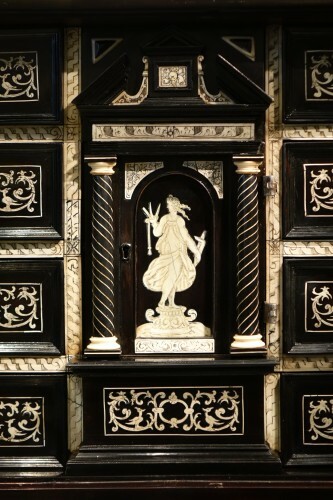 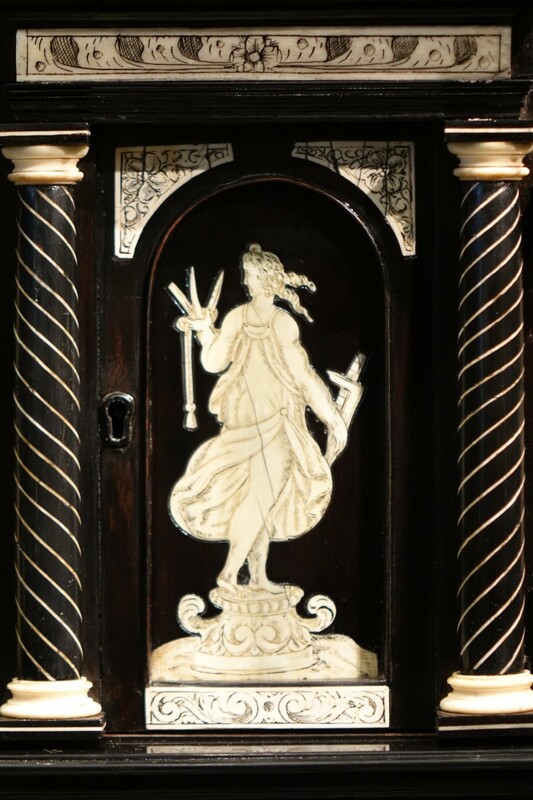 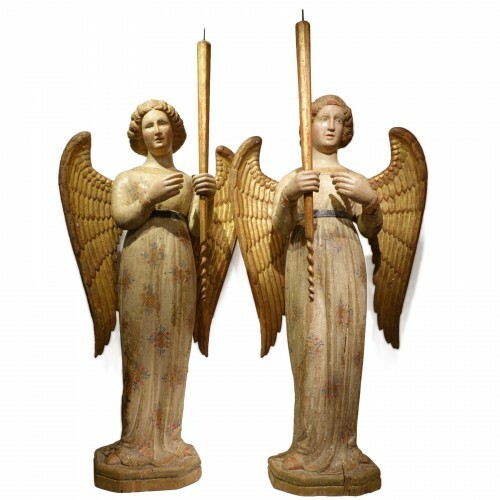 In the center, surrounded by two ebony columns with ivory fillets, an allegorical figure, 3/4 rear, forms the decoration of a door opening to an inner theatre with a simple geometric decoration. 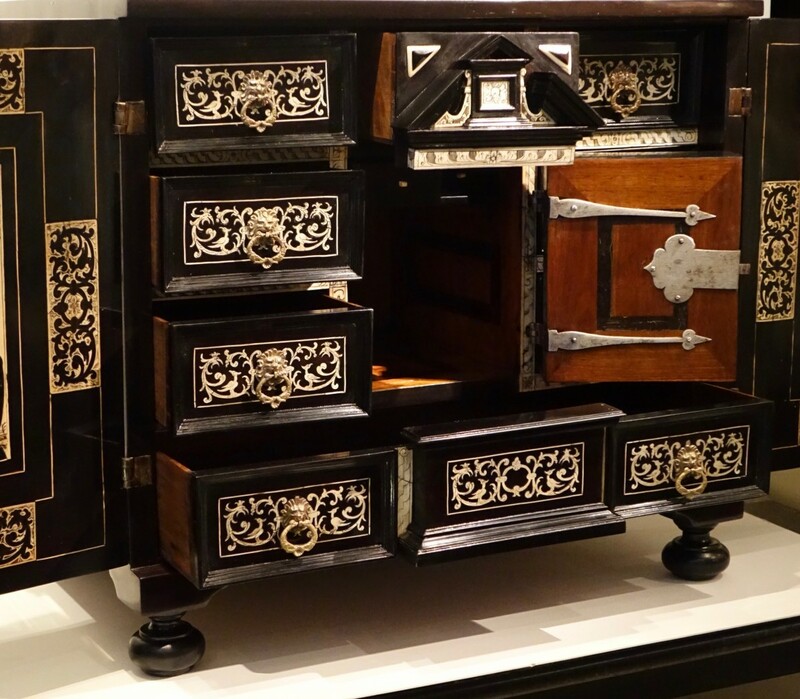 Two small drawers overhang the whole thing. 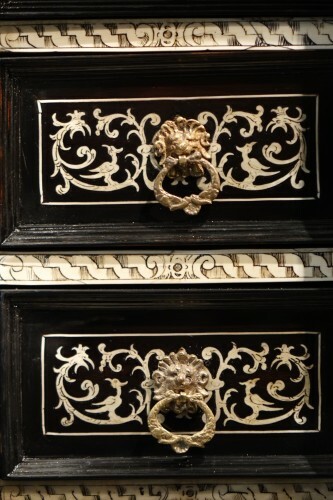 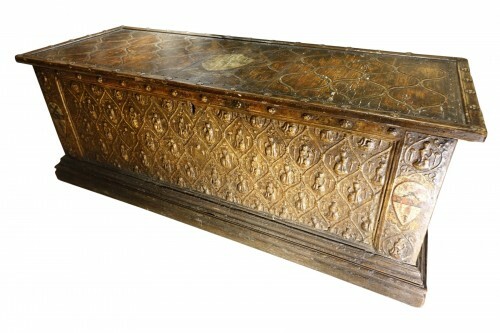 Handles of the 8 drawers and the sides in the form of a lion's mouth hold a ring with two dolphins facing each other. 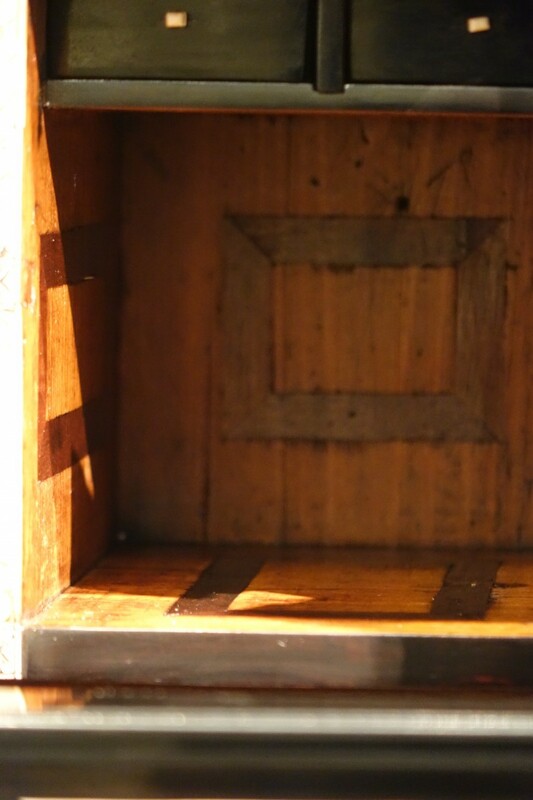 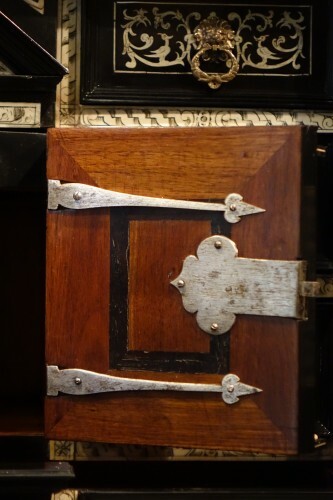 Steel hinge and lock on the inside. 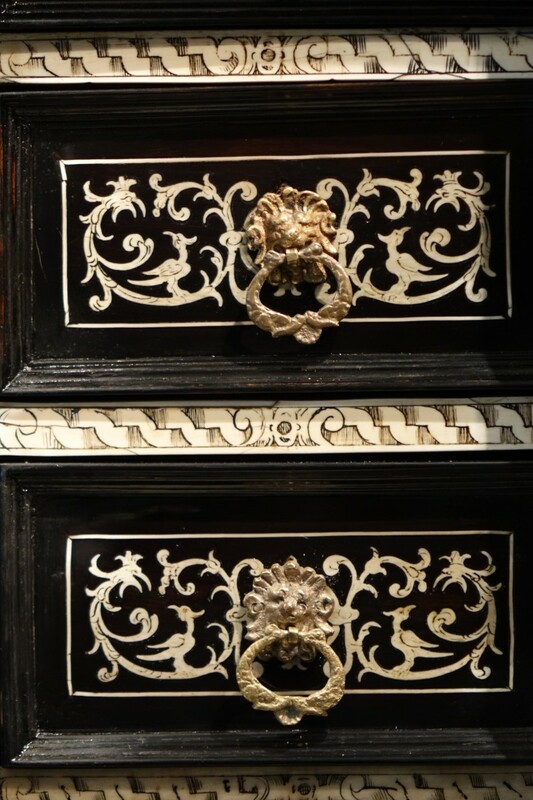 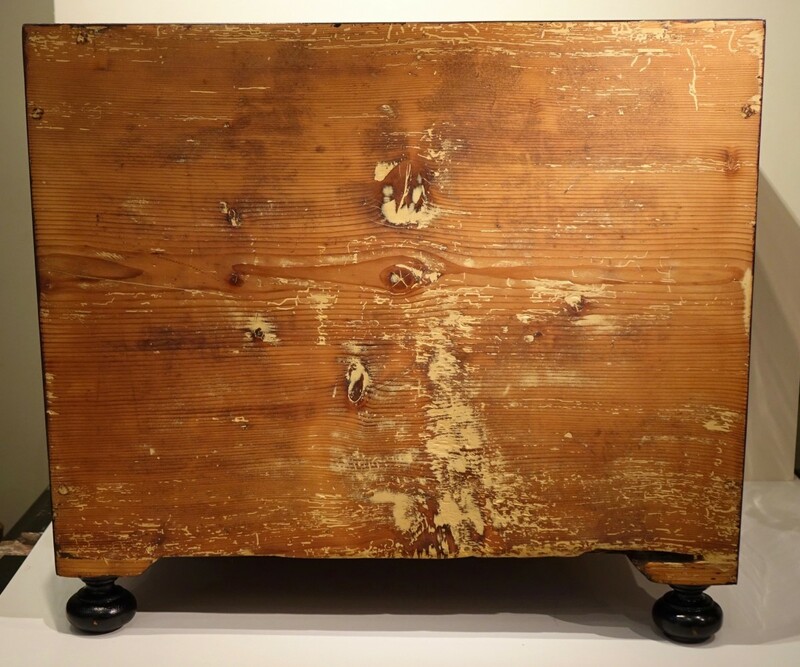 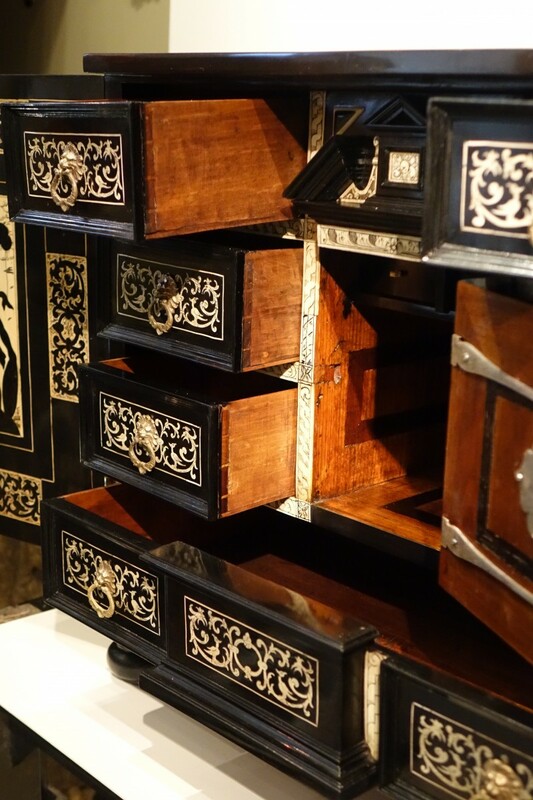 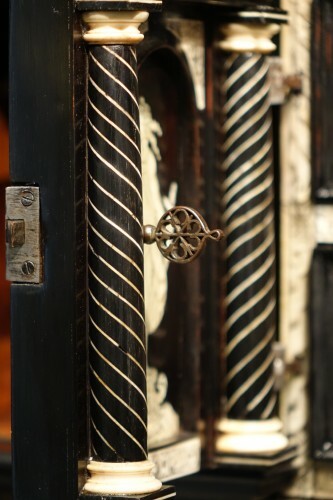 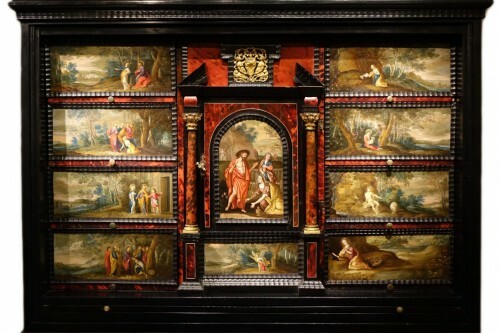 This cabinet has similar decorations to those made in Augsburg, but the handles make us think of an Italian or even Venetian origin.